Photograph by Heide Smith. 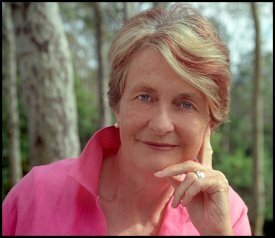 Dr. Helen Caldicott foresaw the Fukushima nuclear disaster in her 2006 book Nuclear Power Is Not the Answer. The cofounder of Physicians for Social Responsibility now calls it "by orders of magnitude many times worse than Chernobyl." Pediatrician Helen Caldicott, one of the world’s most important authorities on the health effects of ionizing radiation and the world’s leading spokesperson for the antinuclear movement, would agree. Caldicott is also the cofounder of Physicians for Social Responsibility, a nominee for the Nobel Peace Prize and the 2003 winner of the Lannan Cultural Freedom Prize. She recently established the Nuclear Policy Research Institute. In her 2006 book Nuclear Power Is Not the Answer, Caldicott points out that people living near nuclear facilities undergo ongoing exposure to radiation routinely released into the air, water and soil during normal operations. Minor “accidents” are commonplace at nuclear reactors. People living in areas near the sites of nuclear accidents, including Fukushima, Japan, are at greater risk. The health effects of radiation are well known: cancer and birth defects are part of the spectrum. 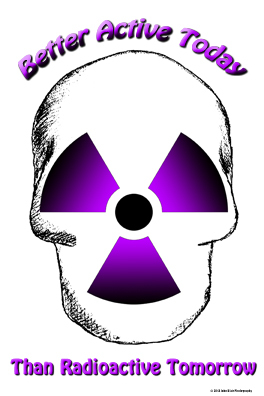 “No dose of radiation is safe,” Caldicott notes, “and all radiation is cumulative” in the body. It took Caldicott less than a week to determine the extent of the March 11 nuclear disaster in Fukushima: “Japan is,” she said in a March 18 news conference, “by orders of magnitude many times worse than Chernobyl,” until this March the worst nuclear power disaster in the history of the world. And she isn’t alone in this assessment. Caldicott’s expertise allowed her to foresee the Fukushima accident.Nuclear Power Is Not the Answer says, ”Although nuclear reactors are designed to withstand serious earthquakes, a quake large enough could trigger a very severe accident. This is true as well for many of the reactors in Japan, a country riven with earthquake faults.” It was both an earthquake and tsunami that caused three reactors at Fukushima’s Daiichi nuclear power plant to melt down. “As Tokyo University professor Tatsuhiko Kodama famously testified to the Japanese Diet in late July, the radiation released from the Fukushima reactor explosions was equivalent to 20 Hiroshima atom bombs,” theCounterPunch article quoted Busby. At the March 18 news conference Caldicott quoted Albert Einstein as saying, “Nuclear power is a hell of a way to boil water.” Indeed, nuclear power is just that – a way to boil water to create steam that turns turbines to generate electricity. Because of the radiation involved, it’s the most dangerous — and expensive — way to generate electricity. The United States is home to 23 GE Mark I nuclear reactors, the same model that underwent meltdowns in Fukushima. In 1972 engineers who worked on the Mark I design “resigned because they knew [the reactors] were dangerous,” Caldicott said at the news conference. In Nuclear Power Is Not the Answer, Caldicott dissects with surgical precision the claims that the industry and its advocates make about the benefits of nuclear power. The industry claims that nuclear power is “green and clean.” As Caldicott points out, however, vast amounts of conventional fossil fuels go into mining uranium for fuel; crushing and milling the ore; enriching the uranium; creating the steel and concrete for the reactor; decommissioning, dismantling and cleaning up after reactors; and transporting and storing the thermally and radioactively hot nuclear waste for 500,000 years without any leaking or seepage. Besides using fossil fuels, each stage of the process emits radiation. The transport of nuclear waste involves moving it through highly populated areas and in severe weather conditions, Caldicott writes. There is no known way to store the radioactively contaminated waste safely. Among the waste is plutonium, which its discoverer, Glen Seaborg, called, “the most radioactive substance on earth,” according to Caldicott. Inhalation of one millionth of a gram of plutonium causes lung cancer. Plutonium also causes bone cancer and leukemia. It has a half-life of 24,400 years, meaning that it remains radioactive for half a million years. Further, the plutonium that civilian nuclear power plants manufacture is used in nuclear weapons. Nuclear reactors are so unsafe that no insurance companies will insure them. Only public subsidies can sustain their construction. Linda Greene can be reached at lgreene@bloomington.in.us. This entry was posted in Uncategorized and tagged Bloomington, Caldicott, Fukushima, Nuclear Energy, nukes. Bookmark the permalink.